Among those at the job fair who are looking to stake a claim in the industry were some businesses that you might not associate with cannabis. Stephen Cue showed up Wednesday at the Yolo County Cannabis Coalition's first job fair with his pearl white Honda Gold Wing motorcycle with sidebags and a trunk. "I can make more deliveries on that bike than any car can," said the 64-year-old truck driver who was hoping to make a career change into marijuana delivery. 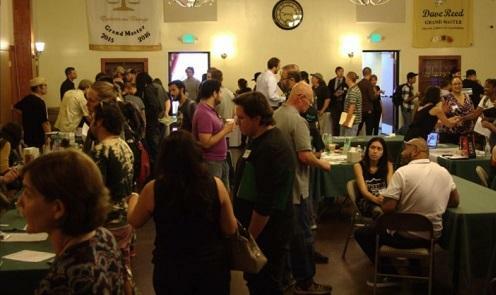 Cue was one of some 350 attendees at the job fair, along with 20 prospective employers and advocacy groups at the Davis Odd Fellows Lodge.